Over the years we’ve had the chance to taste many different aloha bars during out trips to Hawaii, like the one shown in our Java Kai review. 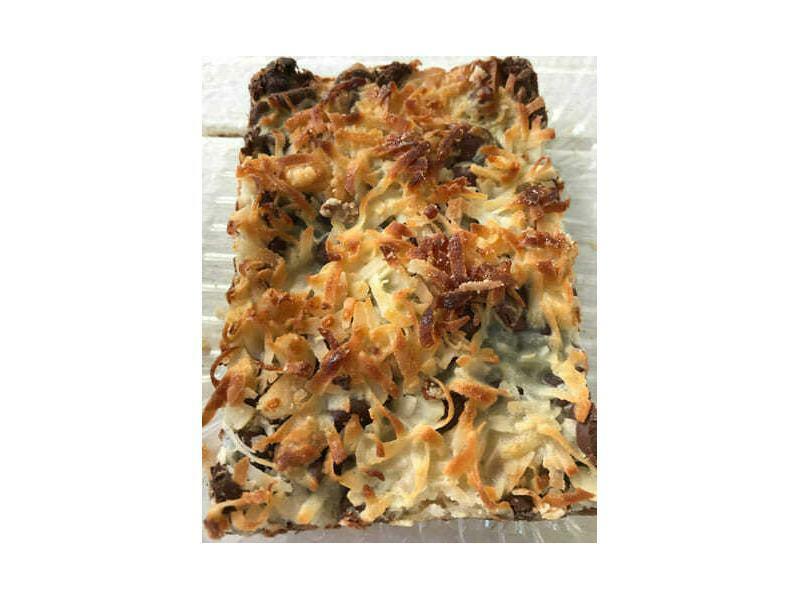 They are the perfect mix of chocolate, chewy coconut and mac nut flavors, and pair well with a hot cup of coffee. This recipe is a very easy, quick and practically impossible to mess up, even for those that claim they can’t bake! Give it a try. You are sure to impress your family and friends. Here’s the recipe to make the Wary Traveler Aloha Bar. *The quantities of chocolate chips, coconuts and nuts are just suggestions. Feel free to play around with the ratios! Step 1 – Preheat your oven to 350°F. 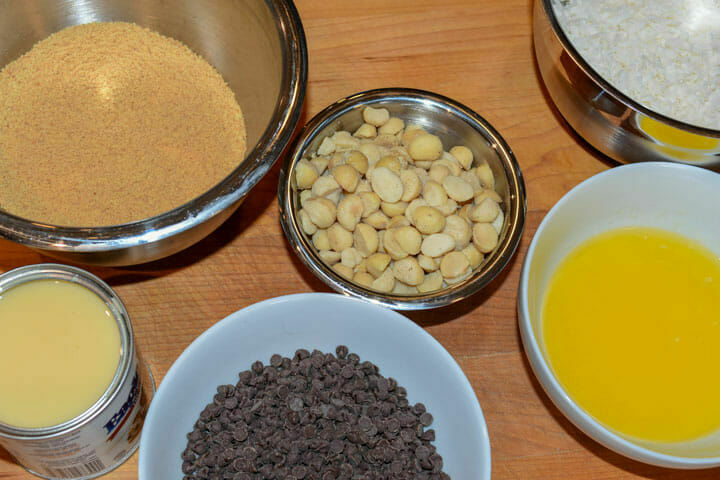 Step 2 – Mix together in a small bowl the graham cracker crumbs and the melted butter. 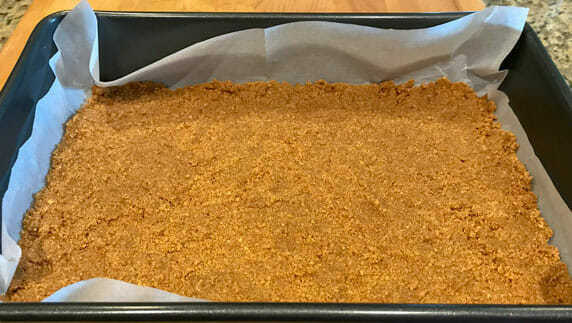 Step 3 – In a 13 x 9-inch baking pan, press the crumb mixture in the bottom ensuring that the whole pan is covered. You don’t need to grease it as the mixture will not stick, but I like to line it with parchment paper to make it easier to remove once done. Step 4 – Pour half of the sweetened condensed milk over the crumb mixture, trying to cover as much of it as you can. Step 5 – Take other ingredients and sprinkle all over the pan, trying to layer it evenly. Press everything down with a fork. Step 6 – Pour the remainder of the sweetened condensed milk over the ingredients. Step 7 – Bake for 25 minutes or until golden brown. Step 8 – Let the bars cool completely. Chill if you want to enjoy faster. Step 9 – Cut into desired shape and size. Step 10 – Close your eyes and imagine that you are in Hawaii as you take a bite! We are a Canadian couple that loves to travel… a lot! After years of experiencing the good, bad and ugly of travel we have become wary when going to new destinations. We are sharing our experiences with you so you can enjoy yours. All establishments, activities and products featured on warytravelers.com are approved by the owners of this site. Most content is not sponsored but at times, some content may be sponsored and will be disclosed. All opinions expressed are unbiased and our own. We share this information with you in hopes of contributing to making your vacation memorable.